If you’re planning a trip to see the Northern Lights in Alaska, there are a number of unique activities to choose from. One particularly special experience that is great for any age, is the opportunity to walk with reindeer. If you’re wondering why you should consider visiting a reindeer farm, keep reading to learn more. The Running Reindeer Ranch is owned and operated by a lifelong Alaskan, Jane, and her husband, Doug, originally from Portland, Oregon, along with their three children, now adults. It all started when the family’s daughter, Robin, asked for a horse but due to allergies, they were unable to move forward. After considering a couple of other options, they began looking into the possibility of reindeer. Initially, they adopted two reindeer, Ruby and Moon, who were followed by several calves in the years to come. The most recent additions in 2018 are calves, Sapphire and Toby. The reindeer at Running Reindeer Ranch are considered a part of the family and enjoy entertaining anyone who comes to visit. The reindeer walk is highly acclaimed, especially as a 6-year recipient of the TripAdvisor Certificate of Excellence. 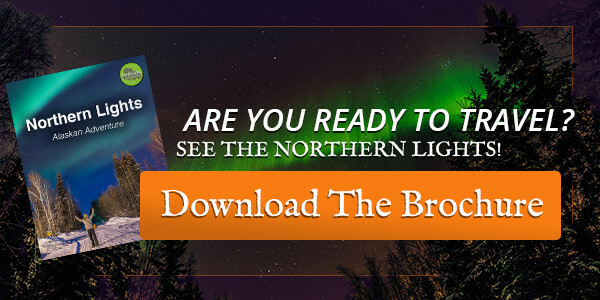 During the winter, this walk is the perfect addition to your trip to see the Northern Lights. The tour includes a guided walk through the boreal forest with Jane as your tour guide. Throughout the tour, you’ll enjoy learning about the history of the forest as well as the reindeer. Each tour will be unique – while the reindeer are tame, they are not trained so the tour makes take an unexpected route. Essentially, expect the unexpected and be ready to follow along with the reindeer. Even more exciting, as of April 2018, the ranch has purchased a neighboring property and house that will include more trails and better accommodations for guests. While prices change seasonally, tours are between $55 to $100 per adult, with a base price of $70. Also note that you must book ahead of time as this property is the family’s home. Since the Running Reindeer Ranch works to deliver a quality experience for each tour, make sure you plan to spend at least 2.5 hours at the ranch. If you’re concerned about weather conditions or your travel plans in general, the ranch offers a hassle-free cancellation if you notify them 48 hours in advance. Also note that in regard to the weather, they have done tours at -50 degrees, however, if you or anyone in your group are uncomfortable with extremely cold temperatures, you may cancel for a full refund. Lastly, if you are not 100% satisfied with your experience, they will offer a full refund. With zero risk, why not book a tour for a once-in-a-lifetime experience? If you’re still not sure, just take a look at some of these awesome reviews and recommendations. What Should You Wear When Visiting the Running Reindeer Ranch? A tour at the Running Reindeer Ranch is not run-of-the-mill. The nature walk includes uneven terrain and occasionally harsh weather conditions, so be sure that you not only have good walking shoes but also weather appropriate clothing. First and foremost, it’s important to keep yourself dry. Make sure that you wear light boots or shoes until it’s time to go for the walk to prevent your feet from becoming too hot and sweaty, which could quickly become wet and cold. Hand warmers are another great way to stay warm throughout the tour. Simply open them about 20 minutes before using them. It’s not difficult to reach the Running Reindeer Ranch. Located in Northwest Fairbanks, we’re about 25 minutes from downtown, 10 minutes from the University, and 20 minutes from the airport. While the ranch does not provide transportation, they suggest that you contact Hampton’s Tours and Transports at 907-371-7101 or Air Link Shuttle, at 907-452-3337, if transportation is needed.